FEATURES/SPECS When you're out in the business world, everything you do, say and wear makes an impression on your business contacts. 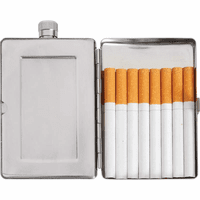 You probably wouldn't serve guests at your elegant dinner party on paper plates; and yet, when it comes to your cigarettes, many people pull out a paper cigarette pack at a business luncheon? 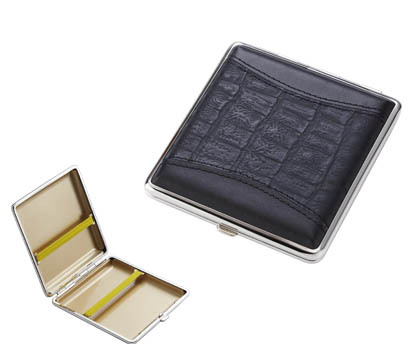 Add a touch of elegance to your personal style with our beautiful leather cigarette case! 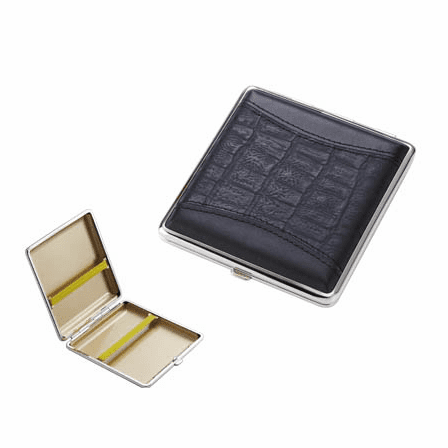 The durable metal under-case holds up to 18 king-size cigarettes, and is covered on both sides with a beautiful black leather wrap. It's streamlined, at only 3/8' thick, so it fits easily in a jacket pocket. 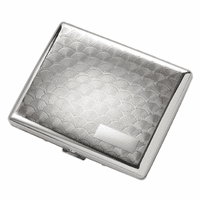 The cigarettes are held securely in place with an elastic wrap, and the metal case keeps them unbroken and fresh! 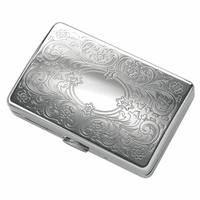 This sophisticated cigarette case is a great gift idea for friends or family. It's thoughtful, elegant and practical, too! We will ship it to you in an attractive gift box that's ready to present, so you can just get ready for their appreciation when they see your savvy shopping skills! 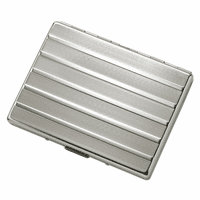 We know you will love this cigarette case, and we're happy to offer you our full Satisfaction and Performance Guarantee!